Some of Hollywood’s biggest stars helped roll out Apple’s new TV streaming service this morning. 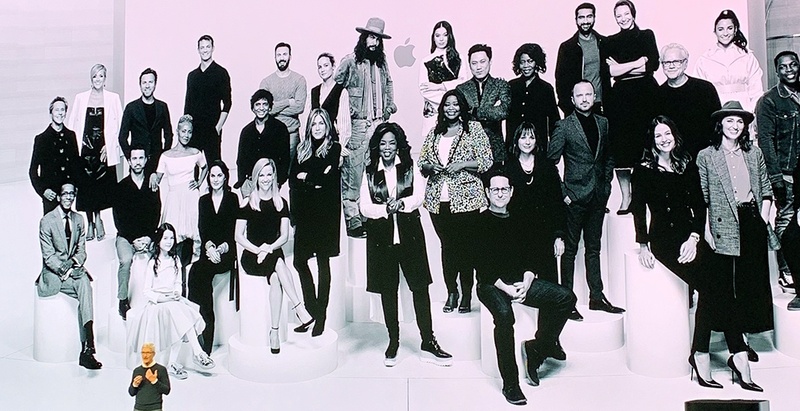 Oprah, Steven Spielberg, Jennifer Aniston, Reese Witherspoon, Jason Momoa, Steve Carell, and JJ Abrams were at Apple headquarters in Cupertino, California to talk about the launch of Apple TV+ — and their new exclusive Apple productions. The new streaming service will be available on an ad-free, on-demand subscription basis. All offerings are downloadable. Through Family Sharing, users can share Apple TV+ and subscriptions to Apple TV channels. Jennifer Aniston and Reese Witherspoon at the Apple announcement on March 25, 2019. It will be available in 100+ countries. Pricing and availability for the Apple TV+ video service will be announced later this fall. It will feature some impressive new shows from some of the world’s most popular talent. That includes Oprah Winfrey, who has two documentaries in the works, including Toxic Labour, which looks at sexual harassment in the workplace, and a still-unnamed feature aimed at reducing the stigma around mental health. “I’ve joined in order to serve this moment, because the Apple platform allows me to do what I do in a whole new way,” Winfrey told the crowd. She’s also bringing back Oprah’s Book Club to the platform. Jennifer Aniston, Reese Witherspoon, and Steve Carell spoke about their new exclusive Apple show, The Morning Show, which looks at the behind-the-scenes world of morning television. Today’s announcement also gave a preview of other offerings, including Little America with Kumail Nanjiani, a story about immigrants coming to America. Wee ones weren’t left out of today’s news. There’s also a new Sesame Street show coming called Helpsters! that explores coding, among other topics. The show is geared to preschoolers. One of those big-budget productions, See, with Aquaman star Jason Momoa, has been filming in the Vancouver-area over the past few months. 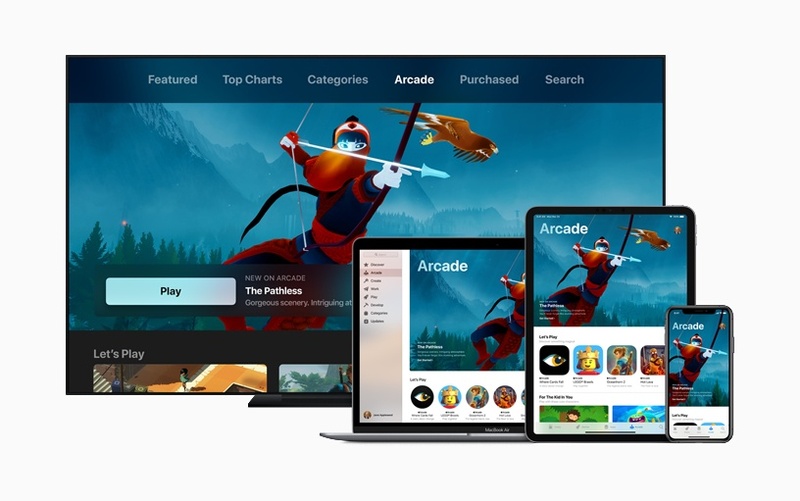 The tech giant introduced a new Apple TV app, for both mobile and desktop, that customizes itself to the viewer’s personalized preferences. It will use machine learning to predict what you’ll want to watch next. The app will have an “Up Next” row, curated “What to Watch” lists — and “For You” to show more relevant movies and TV shows. 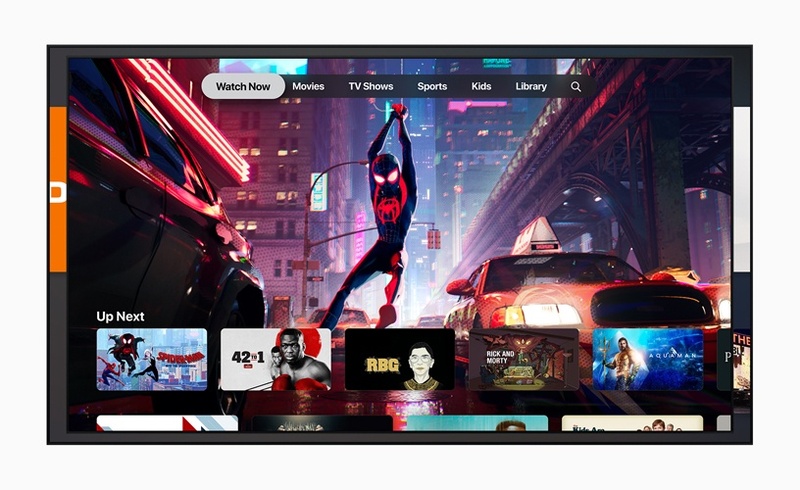 Users will be able to watch and subscribe to a plethora of new Apple TV channels, but only pay for the ones they want. That includes HBO, SHOWTIME, CBS All Access, Noggin, MTV Hits and Starz. You can also purchase or rent iTunes movies and TV shows within the app. The app will offer suggestions for shows and movies from over 150 streaming apps, including Amazon Prime, Hulu and Crave, as well as pay-TV services such as Canal+, Charter Spectrum, DIRECTV NOW and PlayStation Vue. The software upgrade will be available in May. The app will also be available on Smart TVs. The rollout starts with Samsung, LG, Sony, and VIZIO this spring, and eventually with Roku and Amazon. 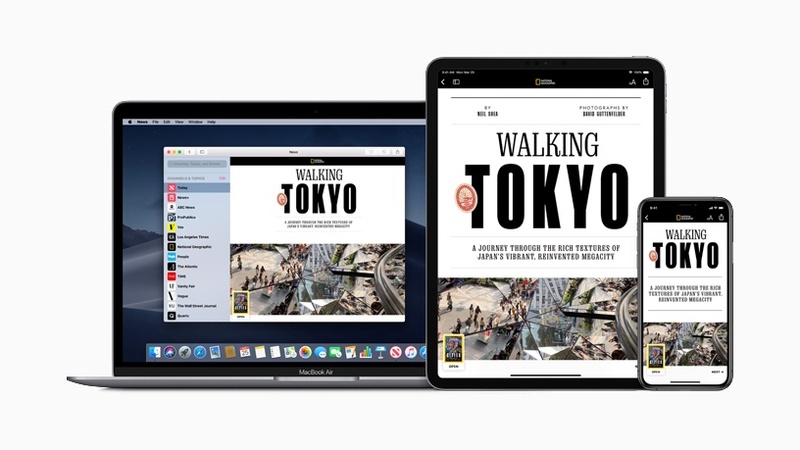 Apple also announced it’s adding magazines to Apple News — and rolling out the service in Canada for the first time. Initially, 300 magazines are being featured — with titles including entertainment, fashion, news and politics, food, and travel. The service will be offered on a $12.99 per month subscription basis in Canada ($9.99 in the US). It will also offer family sharing for no extra charge, and has full access to the catalogue on their own devices. The first month is free. The news aggregation platform was launched in the US on its iOS 9 back in 2015. Although it has not been available north of the border, Apple says it’s available in Canada starting today. Thirty Canadian magazines will be featured, as well as the Toronto Star. The company has curated a collection of 100 brand-new games that aren’t available on any other platform or streaming service. The arcade will be available in a new tab in the App store. Parents can also manage their children’s access through parental controls. Apple also launched its solution to the modern credit card: the Apple Card. You can sign up for the card on your iPhone, and “within minutes” have a card ready to use. It will be available across all of devices, and will be held within the Wallet app, and used wherever Apple Pay is accepted. It will reward users with cash every time you use the card: 2% of the purchase amount will be put into “daily cash.” For purchases made directly through Apple, in store and online, you get 3% cash. And for places that still don’t accept Apple Pay, Apple is rolling out a physical titanium card. The Apple Card is available in the US this summer. It’s unclear if it will be released in Canada.